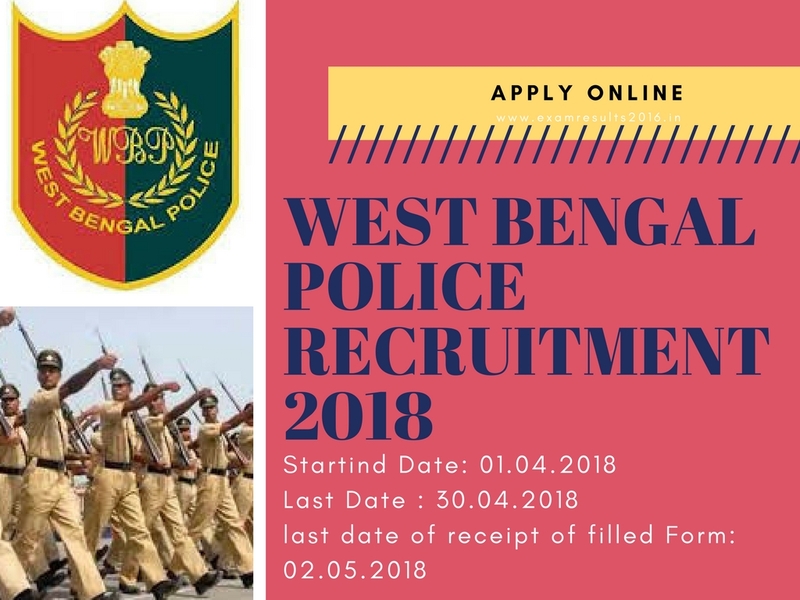 West Bengal Police Recruitment 2018 2019 Application Form for 5707 Constables Posts Download Application through Official website http://www.policewb.gov.in/.West Bengal Police Jobs Notification 2018 Released.The Interested Candidates are requested to Download Application through Official website. The last date for submission of applications is 30-04-2018. 5707 Constables Police Recruitment 2018 @ West Bengal - Apply Now. Selection Process: Written Examination, PMT, PET, Mains Examination, Personal Interview. Log on to West Bengal Police Recruitment Careers Page at official website to http://www.policewb.gov.in.